You’ve always wanted to learn Russian, right? 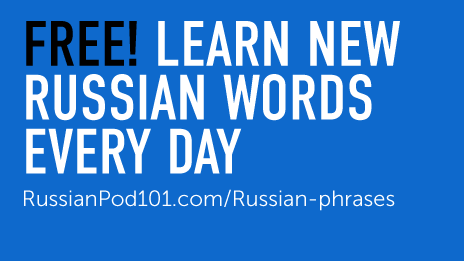 The easiest way to start — this takes just a minute a day — is with RussianPod101’s Word of the Day. Perfect for complete beginners and anyone that wants to learn more Russian words. How does it work? Используйте шариковую ручку с чёрной пастой, чтобы подписать эти документы. Ispol'zuyte sharikovuyu ruchku s chornoy pastoy, chtoby podpisat' eti dokumenty. 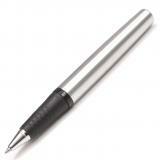 Use a ballpoint pen with black ink to sign these papers. Я делаю заметки ручкой, потому что ею легко писать. Yа delayu zametki ruchkoy, potomu chto yeyu legko pisat'. I take notes with a pen, because it's easy to write with. Want to Learn Even More Russian? Sign up for your Free Lifetime Account and unlock 6 powerful learning tools. They’re yours to keep forever. You’ll learn the 100 must-know Russian words, from reading and speaking to perfecting your pronunciation. Access any vocabulary list for free! And review with definitions, sample sentences and audio pronunciation. Learn Russian with our effective audio and video lessons from real native teachers at RussianPod101. Learn language anywhere, anytime! Download the Innovative Language 101 App for iPhone, iPad & Android. Have you come across any Russian word you don’t know? Look it up in the RussianPod101 dictionary!